With the surge in popularity of Home Automation technology and the impact it has had on DIY home surveillance, innovation has come at almost every turn in so many forms. Smart cameras and smart doorbells have been at the forefront of this wave, establishing new methods for connecting people to their homes from anywhere; instilling a sense of control and security that was never available before. Now, the smart security category has grown to include niche smart peephole devices. 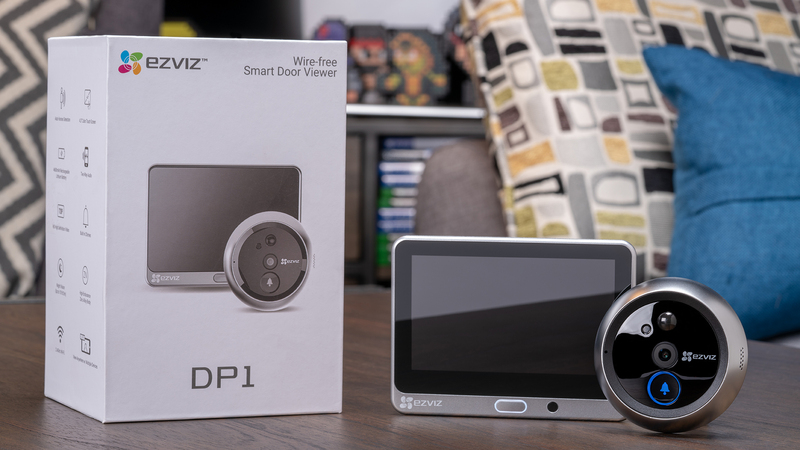 While EZVIZ is no stranger to Smart Home security devices (and certainly familiar with surveillance equipment), their foray into the smart peephole realm with the recent launch of the DP1 Smart Video Viewer was a new venture for them. In fact, only a few companies with some skin in the game have made smart peephole devices; just this year at CES, Ring debuted their Door View Cam which seeks to tap into this market, so there must be something to this. With the DP1, EZVIZ launched their first entryway-focused smart device, and followed up with the DB1 smart doorbell shortly thereafter at the beginning of 2019. The DP1 comes with 720p resolution and an F2.4 lens with 124° FOV, which is sufficient to cover the front door coming and going. Some of the smart doorbells boast 180° coverage, and in all reality that is not something most people need. As with most video doorbells, two-way audio, live-view and mobile alerts with video clips are all part of the standard features, as well as PIR motion detection triggers and three meters of IR night vision. One thing EZVIZ also includes on the feature list is something they call Human Detection, which is supposed to tell the difference between human movement and inanimate objects like trees or bushes. While the exterior of the peephole has a zinc alloy body and weatherproof construction, the interior houses the delicate parts. A 4.3” color touchscreen is used to display video from the camera and navigate through settings, which has a built-in 4600mAh rechargeable lithium battery, can be used plugged in or run off DC power and removed for charging via Micro USB. The device operates on 2.4 GHz Wi-Fi connection and has space for a MicroSD card up to 128GB for local storage in addition to the app cloud. In fact, the device can be used by itself just as a straight video doorbell for viewing visitors on the screen instead of through the peephole, without a smartphone or app if desired. For those who live in an apartment or rent a home without a doorbell, often times drilling and running screws into the stucco or wires through the walls isn’t an option or even appealing. Here, a video peephole makes the most sense. For others, the ease of adoption for a smart peephole is just more approachable; if you have the peephole it is a simple plug-and-play, while many doorbells are wired and require a little more DIY-savvy. The one area I think that the smart peephole far surpasses the smart doorbell in is the in-home use. See, for a smart peephole like the DP1 when the doorbell rings you can get within eyeshot of the door and see whoever is standing there on the 4.3” screen. Without picking up a phone and opening the app users can see whether or not they want to open the door. In smaller homes like mine or apartments, this is really useful and a simple way to see who is at the door without complicating the process. Also, with the size of the screen and placement mounted on the back of the door it can be very useful for those without smartphones, elderly folks or anyone disabled to get a quick look at the door without traveling all the way up to it to check the visitor. With the DP1, users get a nifty Wi-Fi peephole doorbell combo, so all the benefits of motion detection and communication are included in a form factor that has greater utility. Measure the door thickness, and use the appropriate included screw to attach to the back of the peephole camera. The DP1 can accommodate doors from 35-110mm thick. One of the things that all the smart peephole models seem to have gotten right (at least from Eques and Ring models that I’ve had hands-on experience with) is the installation. It is super simple to pop out the old and plug in the new, and the best part is that there is absolutely no impact on the front door itself. 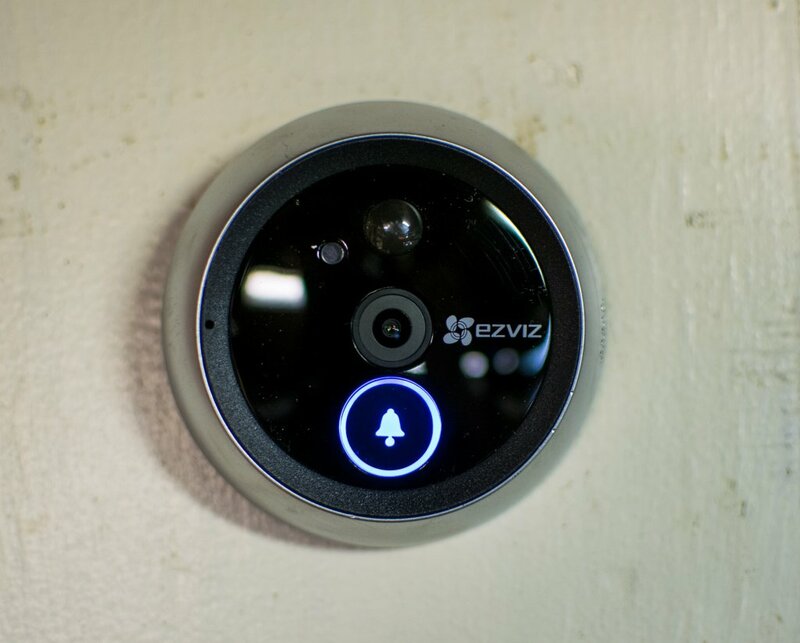 The motion detection was effective out to a range of nine feet, which is in line with the three meters EZVIZ proclaims their product is good for. When reviewing the footage on the 4.3” screen or a cell phone, the 720p resolution is just fine for getting the details; however, if you view it on a larger screen, the resolution will naturally be deteriorated. While the DP1 did in fact switch from day to night vision automatically, I would not concur with the claim from EZVIZ’s website that there was “crystal clear” night vision. Yes, it did switch to the IR view when needed but there were a couple times when flipping the lightswitch back and forth it hung up on transitioning and kept the day vision in low-light, which resulted in a dark video. I did this intentionally to trip up the camera, and under normal circumstances the gradual shift from dark to light and visa-versa would likely not bring this issue but it should be noted. Lag time on the video review was virtually nonexistent when watching the live view, which is good. Also, the notification for the internal screen to kick on when motion was detected only had a lag of a couple seconds after motion was actually performed, so the sensitivity was decent. Users can set the recording duration for each trigger from 5-15 seconds, which gives flexibility so both storage on the memory card and preference are taken into account. As well the time before which motion detection triggers recording can be set anywhere from one to 15 seconds. So if you want to have the maximum notice for any movement, one second of motion can trigger the alert and visual monitoring. If your home has more benign activity in general (say you live on a hall of apartments where children play or something) then you might want to reduce the sensitivity to have less alerts. When Home Automation companies say they have “human detection”, “facial recognition”, or “AI”, I’m immediately skeptical. The technology is still too early to be reliable in most consumer devices to the degree that it is touted by most of those on the market. Other times the claims are just clever lingo used as bait to get customers to hand over their cash. EZVIZ’s human detection seems however, to be functioning as intended. I tested it out by dangling a drone in front of the camera lens at anywhere from two inches to six inches away from the device, which resulted in an uneventful nothing. I then waved my hand in front of the device at the same distances, and the motion detection tripped off. I’m still not quite sure how, but it surprisingly works as described. An apparent new trend for the companies that can swing it (like Ring and Nest) is to create an entire ecosystem of connected devices. We’re talking about building out a multi-device ecosystem that all connects together, covering indoor and outdoor automation. This is naturally a huge undertaking since diversifying the product spectrum takes not only a lot of money but also a lot of work to get it right. 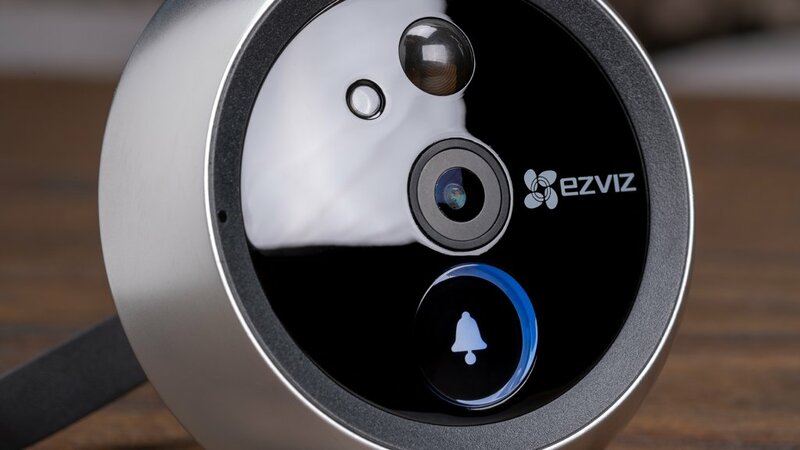 Well, EZVIZ may have started with surveillance cameras but their latest developments fit into the narrative of them attempting to tackle all the big areas of Smart Home security. 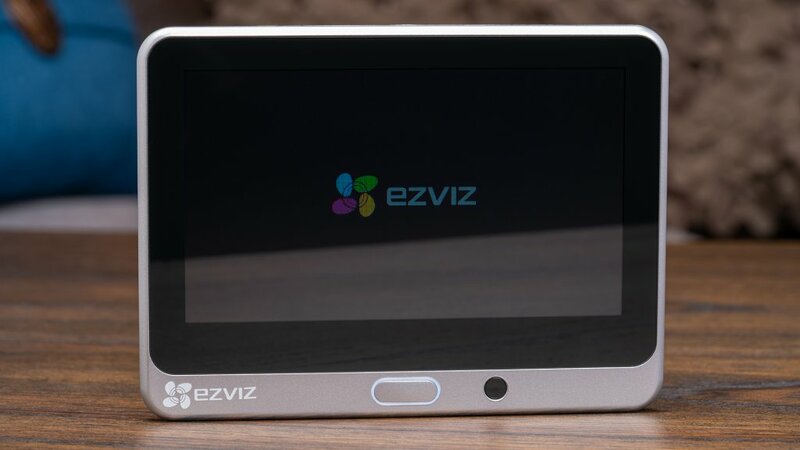 While many haven’t been launched yet, their booth at CES had sneak peeks at the product road map for the rest of the year with smart open/close sensors for windows and doors, a smart door lock, smart alarm and a hub to tie them all together in the EZVIZ ecosystem. 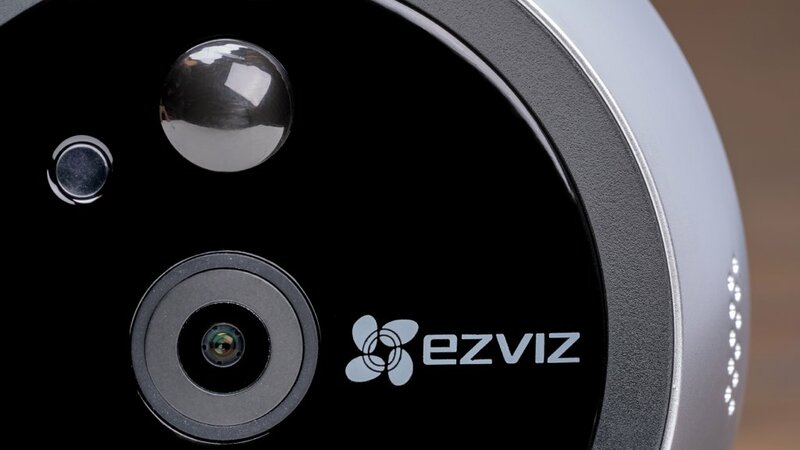 This is a bold move, and I am curious to see how EZVIZ takes this into the future. Right now, they have a solid foundation in the surveillance market and their $189.99 DB1 smart doorbell has my attention. I would really like to see the smart peepholes from all the players reflect a lower price point, since the $200-250 range of the current market seems steep to me. Time will tell if this segment opens up more or stays niche with only a few brands. 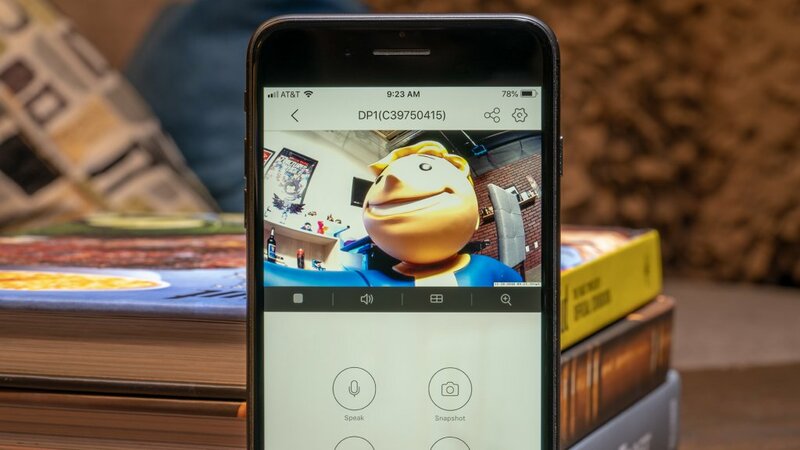 The DP1 smart peephole does serve a specific demographic that has more stringent needs than others, and as a device catering to these needs EZVIZ’s viewer does not have a lot of competition in the market, at least for now. Previous PostWhat's the best controller for PC gaming?